This paired home (1/2 Duplex) doesn't feel like a paired home at all! Plenty of privacy, and a private backyard, without the maintenance requirements of a single family detached home. 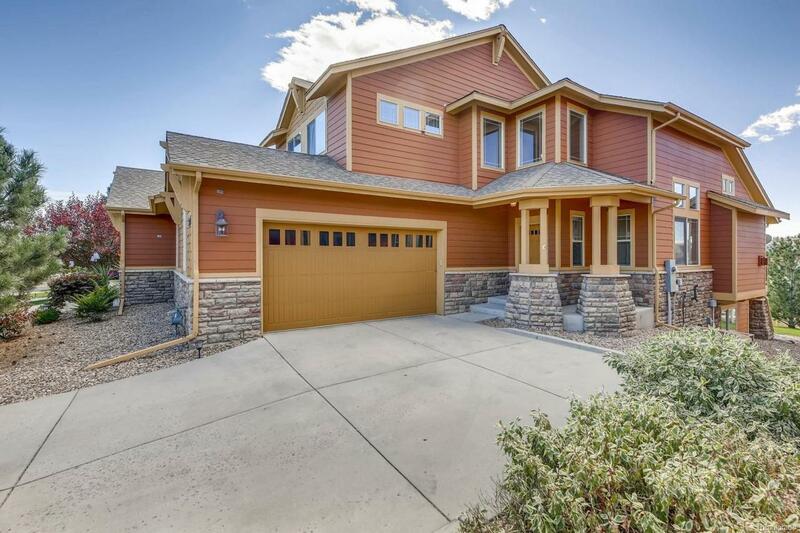 The two story foyer and a bright, open floor plan is perfect for entertaining. Vaulted ceilings & cut out windows add character to this fabulous home. The family room opens out to a large deck, where you can enjoy the open space views. The beautiful kitchen has hardwood floors, granite counter tops, stainless steel appliances & a breakfast bar. Custom paint, finishes & extra built-ins throughout. The main floor master suite has vaulted ceilings, great natural light & a walk-in closet. The updated 5-piece bathroom has an amazing shower with wall jets, large soaking tub & double sinks. The garden-level basement is partially finished, and has a conforming bedroom with a walk-in closet, full bathroom & additional living area. Plenty of unfinished space for storage. Oversized 2 car garage. New furnace.